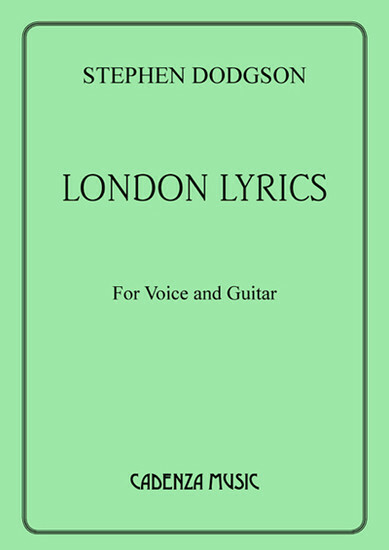 Stephen Dodgson has been resident in London for most of his life and the London Lyrics are a testament to his own sense of place. The five poems, each from different poets and different eras, relate to various aspects of London life and reflect sometimes with humour and sometimes regret. It represents some of Stephen Dodgson's most personal music.